Deshaun Watson vs. Jalen Hurts - Update! 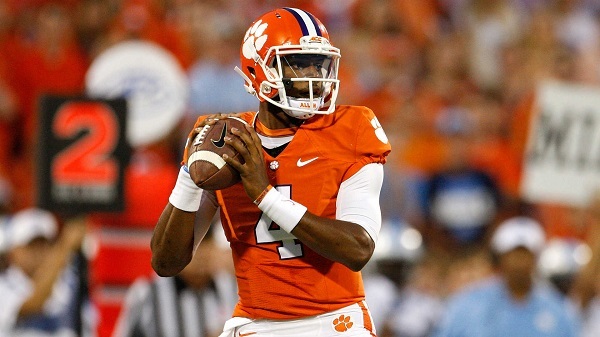 Last night Deshaun Watson led the Clemson Tigers to a spectacular 35-31 come from behind victory. Deshaun threw for 420 yards, three touchdowns, and no interceptions, while running for 43 yards and one TD. Jalen only threw for 131 yards, one TD, and no interceptions, while running for 63 yards and one TD. Deshaun started slow, but ended ruling the night. 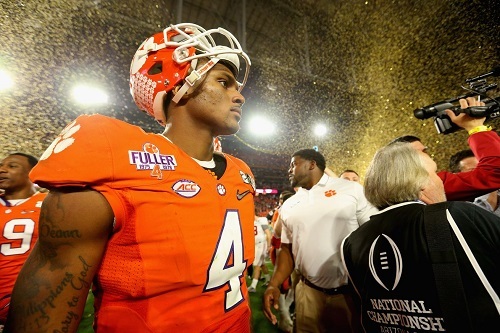 An experienced quarterback is worth gold and Deshaun proved that last night. Jalen has a bright future at Alabama, but becoming a great quarterback takes time. He should study film of Deshaun Watson. We take Deshaun Watson based on experience and talent. Jalen is going to have a great career, but it is going to be Deshaun’s night.